Fantasia Kompact small 28″ ceiling fan and LED light in brushed nickel features an ultra-slim design making it perfect for smaller spaces such as loft conversions and small bedrooms. Two pull cords independently operate the LED light and the fan that gives an impressive airflow of 4280 cu/ft per minute despite it’s compact size. 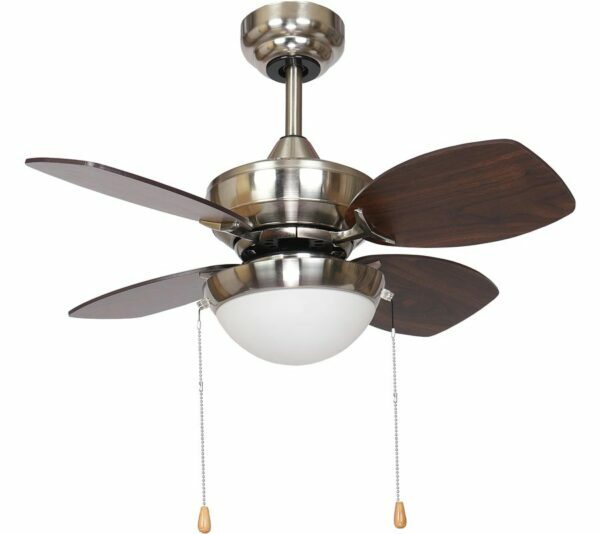 The Kompact ceiling fan has a brushed nickel finish motor housing and reversible maple and dark oak blades. The motor is almost silent when operated on the lower settings and consumes 60w of electricity at the highest speed setting. 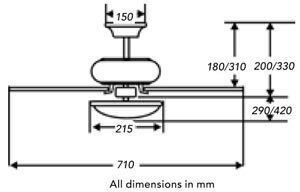 This fan is dual mount and can be fitted flush to the ceiling as shown in the secondary image or with the supplied 6″ drop rod. Longer drop rods are available up to 72″ in length and it can also be upgraded to full remote control; please contact us for any of the options. 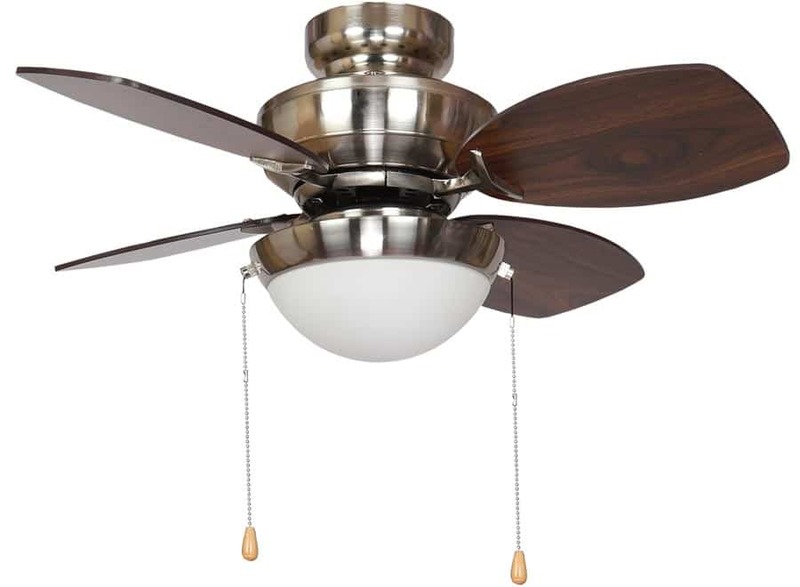 This Fantasia Kompact small 28″ ceiling fan and LED light in brushed nickel is virtually silent and supplied with a manufacturers 10-years warranty on the motor.